It's time to step-up to the next level of prepping! 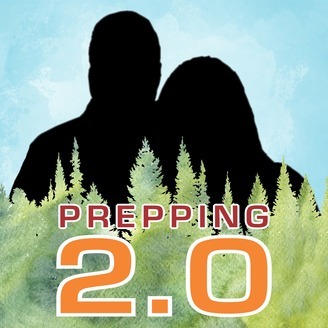 Prepping 2.0 is about the intermediate level of prepping. 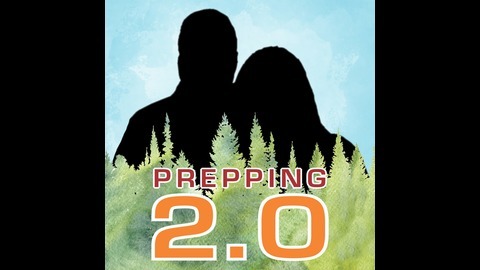 Learn from Glen Tate, author of the 299 Days ten-book series, and Shelby Gallagher, author of A Great State three-book series the next steps to take in your preps. Usual prepping topics – water, security, food – are covered but taken to the intermediate level. Listeners can expect great guests and a lot of humor. In Episode 26, we are joined by the real Dan Morgan, the commander of the gate guards in 299 Days who also makes an appearance in Shelby Gallagher’s upcoming third book. He has experience defending military airfields and was a K9 handler; he gives tips to preppers on security your bug out location and dogs. He lives in Alaska and talks about the unique prepping issues there. In the After Show, we answer Patreon’s questions for Dan and play “Dead or Canadian,” where Dan guesses if minor celebrities are, well, dead or Canadian. The After Show is available to Patreon Supporters who contribute a whopping $2 a month to fund the show. It’s kinda worth it - I mean, dead or Canadian? What’s not to love about that. Oh, and a ton of great prepping information.